Shadow Sight audiobooks are coming and we are celebrating with a giveaway! Shadow Sight, the first novel in the Ivy Granger urban fantasy series by E.J. Stevens, will be available later this month for download on Audible.com, Amazon.com, and iTunes. 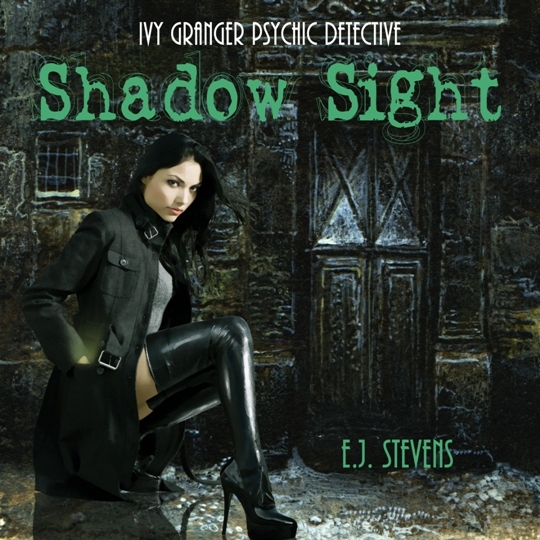 Shadow Sight (Ivy Granger #1) by E.J. Stevens, Narrated by Traci Odom. Shadow Sight audiobook available late April 2013. Shadow Sight available now in ebook and trade paperback. We are giving away a Shadow Sight audiobook and swag pack to one lucky winner! Winner will receive a Shadow Sight audiobook digital download and a Shadow Sight prize pack (signed Shadow Sight postcard, Ivy Granger Private Eye sticker, Shadow Sight sticker, Shadow Sight magnet). To enter, please use the Rafflecopter form below. Giveaway ends April 30, 2013. Oh, this is an awesome book; would LOVE to have the audiobook version, and swag! Love swag! Good luck to me... ;-) Thanks for another awesome giveaway! I love audio books and never see them as a contest giveaway. Thank you for this contest. Hearing the characters come alive is a treat. Good luck! I'm so curious about this book and I confess, I haven't tried yet an audiobook so I would love to. thanks for the giveaway! I love urban fantasy and I'm always looking for new books to add to my collection. This one sounds right up my alley. I love audio books and I would love to listen to this one. I wish they would have more audio book contest. oooh thanks for the awesome giveaway! Ooo, this is good to learn! I don't listen to many books, but do look forward to listening to more. Congrats. EJ, I love your other series with Yuki, but haven't read the Ivy Granger books yet!